Time for my blog is today very scarce. 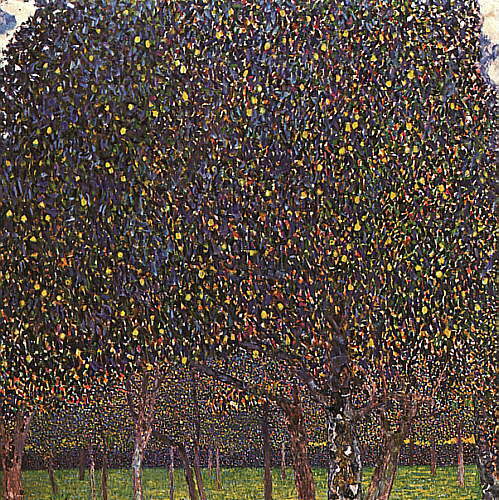 So, I’ll limit myself to post the images of some paintings of the Golden phase of Gustav Klimt. Again this time, then, the visual element will speak almost for itself. 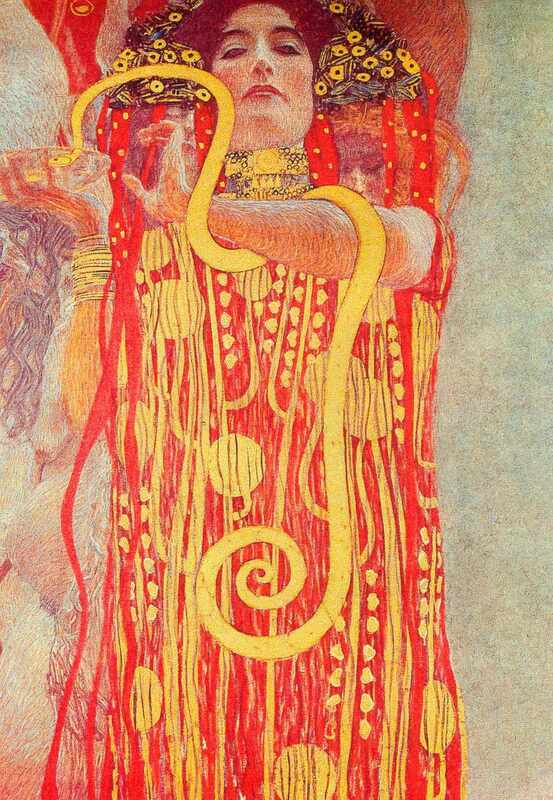 So, let’s enjoy the union of colour and design in these works of the master of Jugendstil (Art Nouveau). 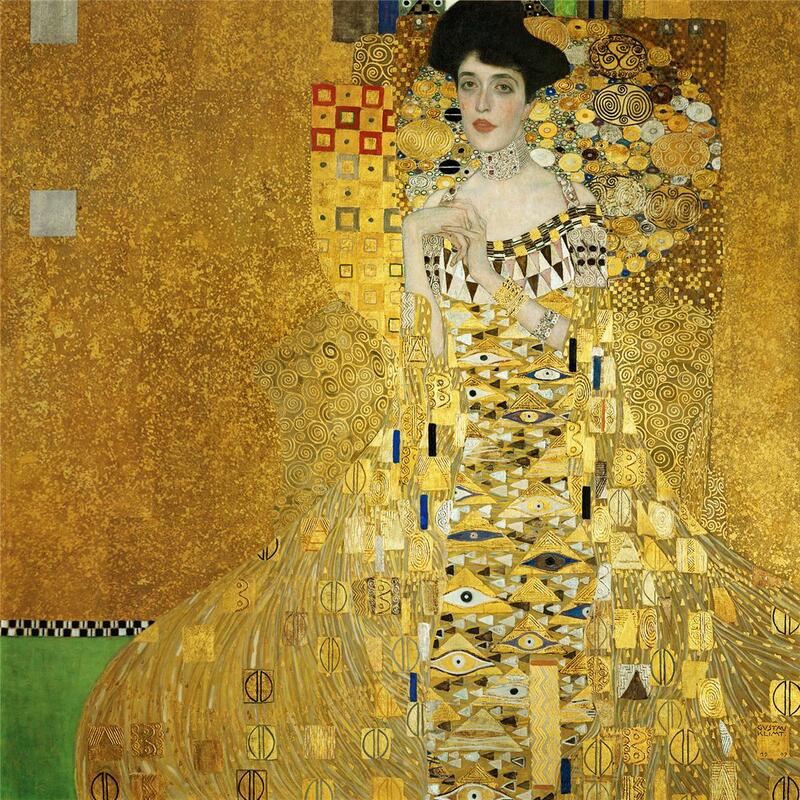 Well, in this painting you can see with extreme clarity why this period of the art of Klimt is called Golden. This work is the part of a painting created to decorate the ceiling of the University of Vienna. The series depict the various universitary disciplines. This one was meant for Medicine. 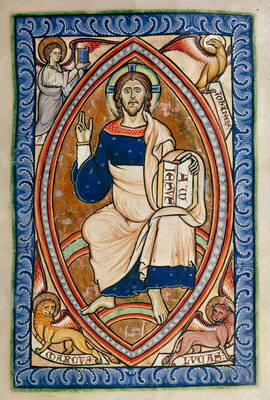 The paintings were censured by the authorities of the University at the beginning of the XXth century and very negatively qualified by some art critics of the time. 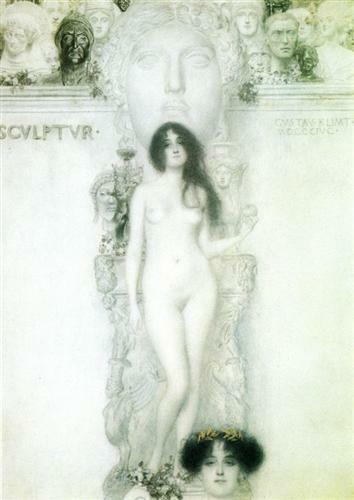 As said in the entries dedicated to the Art School of the Abbey of Beuron, there is speculation about the influence exercised by Desiderius Lenz, one of the leaders of that tendency, and the book in which he explains the principles of the school, on Egon Klimt. And that’s all for this time, friends. Hope you enjoy the paintings. *** Si pulsan sobre ellas, las imágenes se pueden ver aún más grandes. 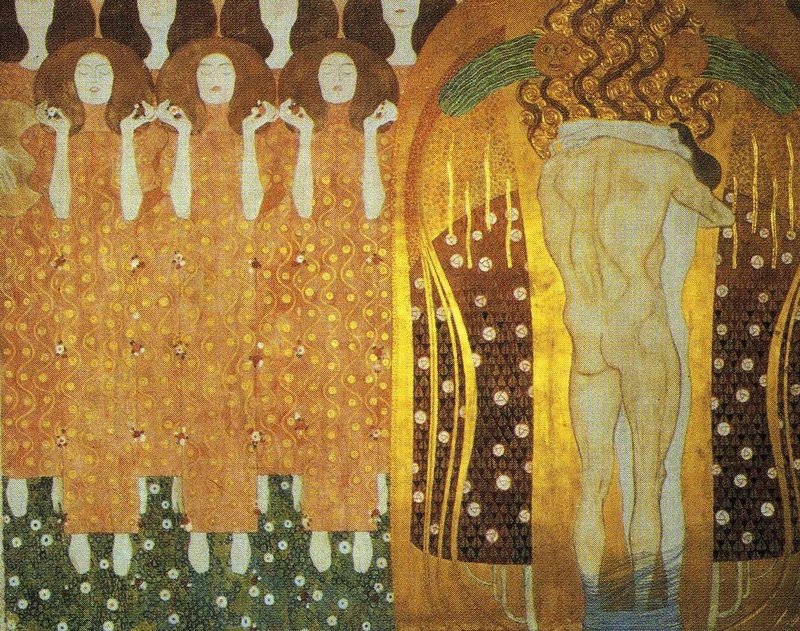 gracias por la elección de las pinturas de Gustav Klimt,me hubiese gustado ver “el Beso”, ya que muestra la fusión del amor con la naturaleza. I followed. Now it’s your turn to follow. Congratulations for your beautiful site. Respecto a la nominación del premio en mi blog, te comento que es solo un reconocimiento informal, que se transmite entre diferentes bloggers. Si quieres pasar el premio, debes seguir las reglas establecidas… Podes consultarlas en mi ultimo post.